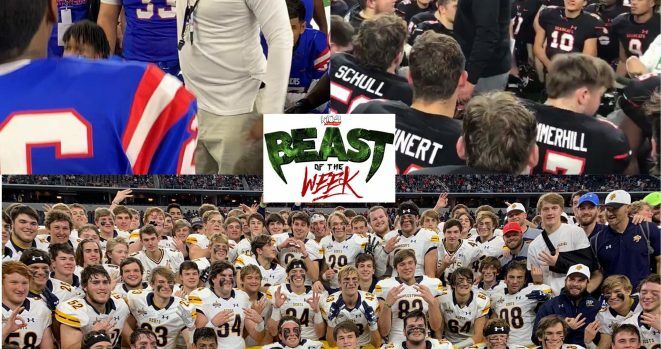 Congratulations to Duncanville, Highland Park, and Aledo on being named K104FM BEASTS OF THE WEEK! The Panthers, Scots, and Bearcats will be representing the DFW this weekend in the UIL Texas State Football Championship games! The Duncanville Panthers are headed to the 6A Divsion I Championship game after defeating the Allen Eagles and snapping their 30 game win streak! The Panthers will face Galena Park North Shore for their first championship since 1998 this Saturday! The Highland Park Scots are heading to their THIRD straight state championship game after defeating Denton Ryan! The Scots are looking for their THIRD straight championship! The Scots will face Alvin Shadow Creek on Saturday afternoon. Aledo is looking for redemption and are heading to the championship after defeating Wichita Falls Rider! The Bearcats get another shot at state on Friday night against Fort Bend Marshall!